The correct choice of gasket can have a major influence on the costs associated with the onset of corrosion, disruptions to plant operation and safety risks. Corriculite’s performance has been compared with graphite and mica in corrosion applications, such as seawater and hydrocarbon services, and validated using a number of benchmark tests. Results demonstrated that Corriculite significantly outperforms current industry standard gasket materials, providing corrosion resistance and sealing integrity which exceeds the stringent emission requirements. Download our whitepaper which analyses the anti-corrosion characteristics of spiral wound gaskets traditionally used in seawater and hydrocarbon services, highlighting the need for new material combinations. 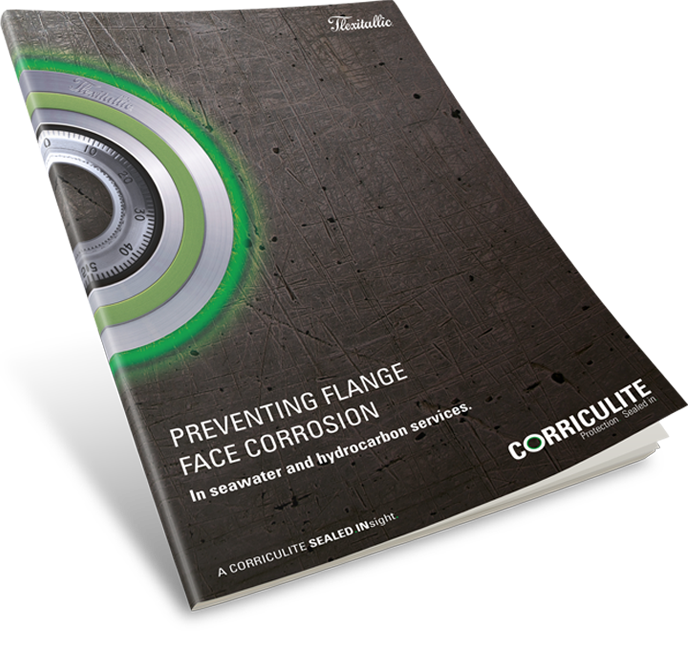 Find out how Corriculite helps prevent flange face corrosion. Corriculite’s sealing properties were tested through a number of industry tests. In this video, the gasket leakage test was carried out to compare the sealing performance of Corriculite and mica. Watch the video to see the results. From time to time, Flexitallic would like to contact you via email or phone with details of products and services we think you’d be interested in. If you wish to receive these, please tick your preference on how we should contact you.